Dr. Ginette Poulin and psychiatric nurse Jeff Schmitz work out of the RAAM clinic at River Point Centre. Walk into the Rapid Access to Addictions Medicine (RAAM) clinic on Bannatyne Avenue and chances are you will find Winnipeggers in desperate need of help. Perhaps there will be a homeless man in his thirties who has become addicted to crystal methamphetamine - a powerful and highly addictive stimulant street drug more commonly known as "meth." Maybe there will be a young man from an upper-middle-class family with a good job who needs to quit using the opioid oxycodone. Or possibly there will be a middle-aged woman - a "typical mom" - who is seeking help for a drinking problem. Until recently, Manitobans with addiction issues like these had very few places to turn. More often than not, they would show up in hospital emergency departments, medical clinics and doctors' offices around the province. Frequently, they would be unable to access the care they needed, which can range from counselling to 28-day, in-patient programs to hospitalization for detox or being prescribed cessation medications for opioid dependency. Fortunately, things are starting to change. In early September, the province officially unveiled a $1.2-million initiative to open five RAAM clinics throughout Manitoba. Two of the clinics are located in Winnipeg - one at the Crisis Response Centre on Bannatyne, operated by the Winnipeg Regional Health Authority; the other at River Point Centre, 146 Magnus Avenue, run by the Addictions Foundation of Manitoba (AFM). The other three are located in Brandon, Selkirk and Thompson, and are operated by AFM and the health authorities in those communities. As the name suggests, these clinics are specifically designed to ensure people with substance use and addiction issues can get access to the medical care and support they need. "It's all about reducing the barriers to individuals seeking help for their addictions," says Joanne Warkentin, Interim Director of the WRHA's Mental Health Program. Dr. Erin Knight, Medical Lead for the RAAM clinic at the Crisis Resource Centre, agrees. "The aim is to help people who are struggling with substance use so they aren't prevented from getting care by some of the classic stumbling blocks of the past - like the need to get a referral from a primary-care provider or to make an appointment," says Knight, who is also Medical Director of the Addictions Unit at Health Sciences Centre Winnipeg, which provides in-hospital medical detox for some individuals that come through the RAAM clinics. Dr. Erin Knight says a person can visit a RAAM clinic without an appointment or a referral. The need for RAAM clinics was outlined in the VIRGO Report, which was released by the province earlier this year. Co-written by Dr. Brian Rush, an independent consultant in the field, the report contains a number of recommendations to enhance substance use and addiction services as part of an overall effort to improve mental health care. Knight says the RAAM model, while novel to Manitoba, is based on a successful program launched in Ontario a few years ago. The original concept stemmed from the growing opioid crisis in Ontario as well as the need to provide better care for people addicted to alcohol. In Manitoba, each clinic is designed to serve as a one-stop hub for people with substance use and addiction issues. People who may not have known where to turn for help in the past can now access care at a RAAM clinic without a doctor's referral or an appointment. "Many people present to emergency departments and walk-in clinics or other areas of our health-care system with addictions issues where the resources don't match the need. RAAM can help ensure these people get the care they need in a more timely fashion," says Dr. Ginette Poulin, Medical Director at AFM and Medical Lead for four of the five RAAM clinics in the province, including the one at River Point Centre. The Ontario initiative started small, with one pilot project involving seven sites in Toronto. But it worked so well, that dozens of clinics were subsequently launched across the province. One indicator of success: Clinicians at one hospital found that emergency department visits by substance use patients dropped by 63 per cent 90 days after they became involved in a RAAM-style clinic. "Hospitalization rates related to addiction decreased by about the same, so it's been shown to be very effective," says Poulin. Manitoba is hoping for similar success. Like other jurisdictions, the province is grappling with the rising use of opioid-based drugs and methamphetamine, according to statistics compiled by the Canadian Centre on Substance Use and Addiction (CCSUA). The numbers show that about 13 per cent of Canadians use opioids like OxyContin, Percocet, the extremely powerful fentanyl and the even stronger analog, carfentanil. As a result, hospitalizations resulting from opioid use have jumped from an average of nine per day in 2008 to 13 per day in 2015, according to the CCSUA numbers. Deaths from overdoses have also risen, from about 3,000 in 2016 to about 4,000 in 2017. In Manitoba, statistics show that about 122 people died of suspected opioid overdoses in 2017, up from 88 in 2016. Additionally, emergency medical services responders attended to 1,022 opioid-related overdoses in Winnipeg between January 2017 and June 2018. Yet opioid use isn't the only growing addiction concern. Use of methamphetamine - a cheaper, more long-lasting alternative to crack cocaine - has been on a rapid rise. AFM has seen a 104 per cent increase in adults seeking help for meth problems since 2014, and a 48 per cent increase among youth. According to the chief medical examiner for the province, the drug was involved in 35 overdose deaths in 2017. Meth also made headlines recently after drug users experiencing severe psychosis threatened and assaulted first responders and emergency department staff. Interestingly, drug use is only part of the story when it comes to addictions, says Warkentin. "The Manitoba Centre for Health Policy released a report earlier this year showing that alcohol is still Manitoba's number one addiction problem - though opioids are absolutely a growing concern, as is crystal meth." While the RAAM clinics won't solve all the problems associated with substance use and addictions, they do represent a good first step in a bid to enhance services for those in need, according to Warkentin. Since opening in late August, the two Winnipeg clinics have been receiving an average of about eight patients per day. For now, clinics are only open on certain days for a limited number of hours. For example, the RAAM clinic at River Point Centre is open Monday afternoon from 1 p.m. to 3 p.m. and Thursday morning from 9:30 a.m. to 11:30 a.m. And the RAAM clinic on Bannatyne is open Tuesday, Wednesday and Friday in the afternoon from 1 p.m. to 3 p.m.
"Between the two, we provide five days of coverage a week, and they're meant to be interchangeable, so if someone is getting care at River Point on Monday, he or she can go to the CRC RAAM clinic if need be on Tuesday," Warkentin says. For more information, call the Manitoba Addictions Helpline at 1-855-662-6605 or click here. There is more opportunity to enhance care for people with substance use and addiction issues and for mental health patients overall, says Warkentin. For example, the VIRGO report talks about the need to better integrate substance use and addiction care with mental health services and medical care. There is also a need to provide more support and better training to front-line, primary-care providers like family doctors and nurse practitioners. This will be the focus of the provincial planning for services. That's not to say a good number of family doctors aren't up to speed on the latest medication and services available for people with substance use and addictions issues. But expertise among primary care providers about substance abuse and other related activities like problem gambling is uneven across Manitoba. 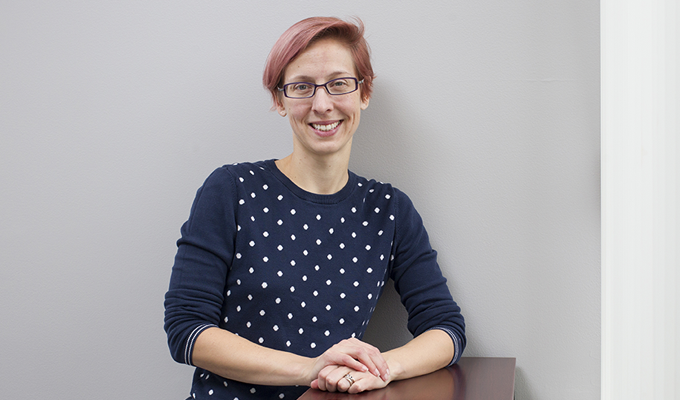 "These professionals are often the first point of contact, so we need to work together to increase the capacity of family doctors to deal with mental health and addictions issues," says Warkentin. But building that capacity on the front lines takes time, and the RAAM clinics are considered the first step to integrate addiction, mental health and health-care services to address the province's ongoing challenges with addiction, she says. So what can a person with substance use or addiction issues expect from a RAAM clinic? "Upon attending a RAAM clinic, clients are able to register with a receptionist and be seen by a nurse specialized in addictions and mental health, like myself," says Jeff Schmitz, a psychiatric nurse who works at River Point. His job is to screen and complete holistic baseline assessments for RAAM clients, which includes substance use history, medical history, mental health history and psychosocial history. He may also provide harm-reduction advice and services for individuals who are not ready to stop using, such as Naloxone kits for opioid users. He will also work with other members of the multidisciplinary team to connect clients to appropriate primary-care providers. "We meet with the client and discuss what the priority is for them and what they are hoping to get from the RAAM clinic," he says. 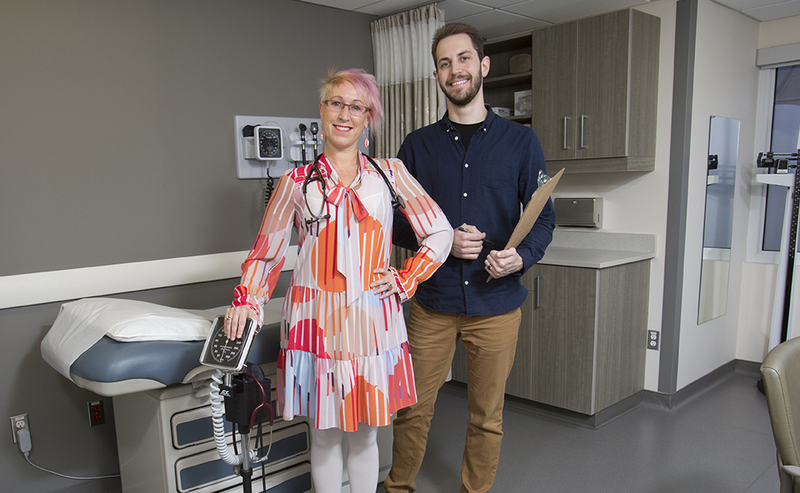 From there, individuals often meet with an addiction medicine doctor, like Poulin or Knight, who are both family physicians specializing in addiction medicine. Among other things, they may prescribe cessation medications like Suboxone for opioid dependency or naltrexone for alcohol. Patients may also see a physician assistant - a specially-trained health-care professional who can provide diagnostic and treatment services similar to that of a medical doctor. As well, patients can meet with an addictions counsellors like Brian Theriault, who works out of the clinic on Bannatyne. "Essentially, my role is to eliminate barriers to addictions treatment, whether that is a community-based program or an in-house treatment program," says Theriault. For example, a homeless individual who uses methamphetamine and is struggling with withdrawal and psychosis will likely need temporary shelter in addition to treatment. "My first assessment might recommend detox services where a person can rest under supervision with basic medical care," says Theriault. That might include a stay at the Main Street Project for a few days until the symptoms of withdrawal abate, followed by in-patient treatment at AFM, typically lasting 28 days. That individual may then need to continue accessing care through out-patient treatment services that might include group therapy. Others battling opioid dependence may require medication to deal with withdrawal symptoms, says Knight. As a result, they may be prescribed Suboxone, which contains buprenorphine, an opioid agonist that provides relief from withdrawal symptoms. In these instances, some individuals may be able to carry on with treatment in the community involving regular peer group sessions and one-on-one counselling. "Key to all care is freedom of choice for individuals, because otherwise people are reticent to get help, fearing they will be boxed into a program they aren't comfortable with," says Knight. Still, many addicted individuals often require significant levels of care, including detox services, which can involve hospital stays. Opioid users often experience withdrawal symptoms similar to individuals with a really bad case of the flu. As such, they mainly require rest and basic care. While they need detox services, as do methamphetamine users, they do not require 24-hours medical supervision. Those who are alcohol dependent, however, often require specialized medical detox. Unlike most other drug addictions, individuals going through alcohol withdrawal can experience life-threatening health issues, such as high blood pressure, rapid heart rate, psychosis and seizures. "When somebody is at risk of a severe alcohol withdrawal, they need an admission to hospital, which can occur on the addictions unit at HSC, and we help facilitate that," says Knight. Poulin says RAAM clinics do not administer detox services on site, nor do they offer ongoing treatment programs. Rather, they are designed to provide those in need with a medical intervention that bridges with acute and primary care, and effectively taps into the addiction, mental health and health-care services that are available. Despite the advances made in tackling the problem of substance use and addiction, barriers to proper care remain, in part because of society's perception of the problem. "There's stigma at all levels, from the general public to the health-care system," says Poulin. Old misconceptions - that addiction is a moral failing, resulting from a lack of willpower - still persist. Even within the system itself, these old beliefs are insidiously embedded in how care is provided, Warkentin adds. "There's sort of the traditional belief in addiction being separate from mental health and general health, and they're all in separate silos. But the reality is, they can be interconnected." Addiction is often not an affliction that occurs in isolation. Substance abuse problems generally involve co-morbidities - mental illnesses like depression and anxiety, or chronic pain issues. "Having a very trauma-informed lens is also really important," Poulin adds. She says difficult past experiences, including trauma, often play a role in substance use disorders, pointing to the seminal Adverse Childhood Events (ACE) study from the late 1990s, which demonstrated that the more traumas people had, the more likely they were to have chronic conditions such as addiction, mental health and cardiovascular disease. That's why RAAM clinic teams - consisting of physicians, physician's assistants, nurses and counsellors - aim to provide both comprehensive early care and to offer long-term options, so individuals, no matter what stage of recovery they're in, can find what they need. "There is no judgment here. You present as you are," Theriault says. "It's all about providing support."